Sierra Leoneans celebrated in the streets last month when 42 days passed without a single new case of Ebola. The mix of mourning and jubilation called to mind the signing of a peace treaty after a war, and the end of Ebola should indeed be greeted as a victory. Sierra Leoneans celebrated in the streets last month when 42 days passed without a single new case of Ebola. The mix of mourning and jubilation called to mind the signing of a peace treaty after a war, and the end of Ebola should indeed be greeted as a victory. Though the disease persists in parts of neighbouring Guinea, and three new cases have recently been confirmed in Liberia even after it was declared Ebola-free, there are signals that the epidemic may soon have run its course. If so, it will have been a hard-won victory; more than 11,000 people have died of Ebola in West Africa since it broke out in March last year. 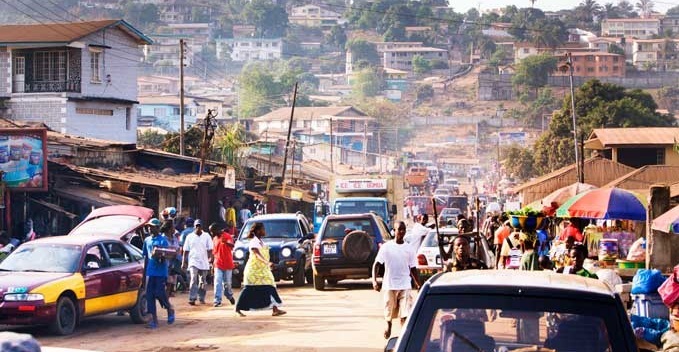 This is not the first time in recent history that Sierra Leoneans have had to regroup. The country was embroiled in a brutal civil war that began in 1991 and ended only in 2002. Since then substantial progress has been made, but Ebola has seriously damaged much of the country’s post-war development. Once again, the focus must shift to rebuilding, and the reinvigoration of rural livelihoods should take top priority. As in other countries in sub-Saharan Africa, this means that there is an immense need to support women farmers, since it is typically women who work in the fields. Only by creating more and better opportunities for women in agriculture can we help West Africans solve the pressing problems of food insecurity, malnutrition and financial stability. Food is still scarce in many areas, and agricultural value chains, including vital streams of inputs like seeds, fertilizers and poultry feed, were completely destroyed in many places. When the Ebola virus began gaining ground in mid-2014, farming activity came to a near standstill. My colleagues at BRAC, an anti-poverty organisation that has worked in Sierra Leone and Liberia for seven years, saw the fear of death from Ebola supplanting typical rural concerns, which had previously included malaria, crop failures and the availability of credit. As a result of the slowdown in farming, food prices rose drastically. Since agriculture is the main source of income for most Sierra Leoneans, households already devastated by the deaths of loved ones found themselves in dire financial straits. Hunger and children’s malnutrition soon followed. Food stocks kept in storage, intended to be planted during the next season, were consumed immediately. This has left farmers with few seeds to plant today. Other vital points in the rural value chain also need to be repaired. What we can do now is to support farmers with mechanised cultivation, high-quality seeds, technical know-how, and pest and fertiliser management. Doing this will provide an immediate boost in rural productivity and put the affected countries back on a path toward food security. Livelihoods cannot be improved, however, without robust support in other areas, including health, financial services and education. Today, we see opportunities to introduce new technologies to support these vital services. If deployed appropriately, services like mobile-phone based health platforms and mobile money can reduce costs and accelerate the recovery process. Woman entrepreneurs remain central to this effort. There is now a tremendous unmet need to support women whose businesses collapsed during the epidemic. BRAC has already given grants to young Ebola survivors for livelihood support and is prepared to offer more income generation support, a mix of credit and cash grants, to an additional 17,000 clients engaging in small trade. Girls’ empowerment programmes must also now take on renewed importance. With schools closed and girls having to stay at home, Sierra Leoneans saw an unfortunate rise in sexual abuse which resulted in an increase in unplanned pregnancies for adolescent girls. This has taken place in rural areas where basic maternal, neonatal and child health services have all but disappeared, if indeed they were ever there to begin with. The primary focus of BRAC’s Empowerment and Livelihood for Adolescents (ELA) programme, active in five countries in Africa, is to provide young girls with safe spaces where they can socialise and receive life-skills training in order to help them become financially independent. During this post-Ebola phase, the ELA clubs will function as discussion centres to help young girls deal with the effects of this unforeseen crisis. BRAC’s ELA programme aims to bring in 10,000 new members in five districts in Sierra Leone. As in neighbouring Liberia, Sierra Leone’s hard-earned victory is cause for celebration. But the work is not over. Ebola was always an emergency within an emergency. The immediate threat of Ebola appears to be nearly gone, and this will give West Africans the much-needed space to shift their energies back to tackling the even greater scourge of rural poverty and powerlessness. 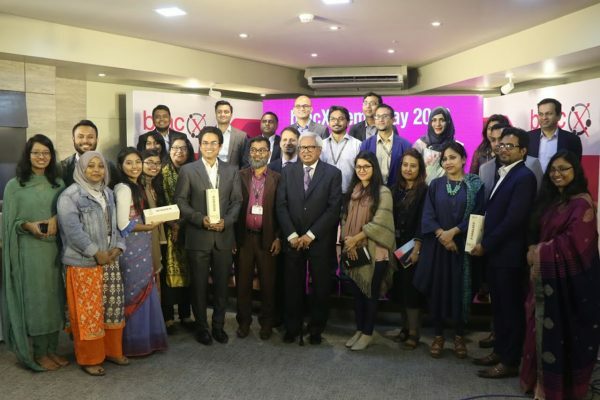 Faruque Ahmed is executive director of BRAC International.